Arsenal travel to the Etihad to take on defending champions Manchester City on Sunday in the final premier league game of the day. Arsenal have been somewhat inconsistent since early December, having enjoyed an impressive unbeaten start in all competitions since their opening day losses to Manchester City and Chelsea. 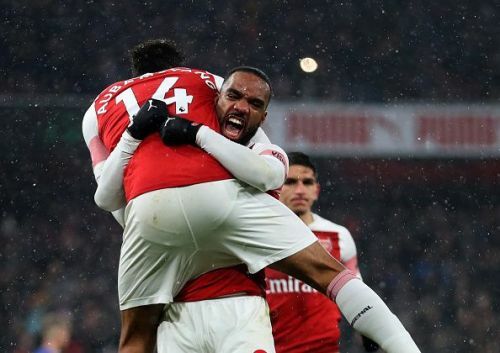 The Gunners enjoyed a morale boosting win against top rivals Chelsea and would be going into the game with a slightly high confidence level. On the other hand, The Citizens are currently suffering from some kind of confidence crises. The latest has to be the morale-dampening 2-1 loss to Newcastle in midweek. They will indeed be itching to right the wrongs of their recent past, especially against a team like Arsenal who are finding it extremely difficult to keep clean sheets at the moment. Let's take a look at two things that could decide the game. Manchester City's biggest threat will come from the wing play of both wingers who are fleet- footed and tricky. On their day, they can single handedly turn a game on its head and City will be looking to get these players involved heavily in the game. Raheem Sterling will definitely be on the heels of Sead Kolasinac and considering the fact that the Bosnian has a knack for going forward to join the attack, Sterling will be relishing the opportunity on the prospect of exploiting the space created when the Bosnian goes forward. The same can be said of the right-hand flank where Leroy Sane will attack. Hector Bellerin is definitely out for the rest of the season after he underwent a surgery on the injury he sustained last week against Chelsea. This leaves the gunners with Stephan Lichtsteiner and Ainsley Maitland Niles as the options in that position with the latter currently being assessed ahead of the game due to the knock he has picked. Sane will definitely cause the gunners some problems down the left flank. The German has to be closely monitored throughout the game, because he thrives on space. Unai Emery will need to employ a 4-4-2 diamond formation like he did against Chelsea which worked using the likes of Lucas Torreira and Matteo Guendouzi on either side of the midfield with Xhaka sitting deep and threading passes for the forward line to attack. Lacazette and Aubameyang will be expected to lead the line against City. 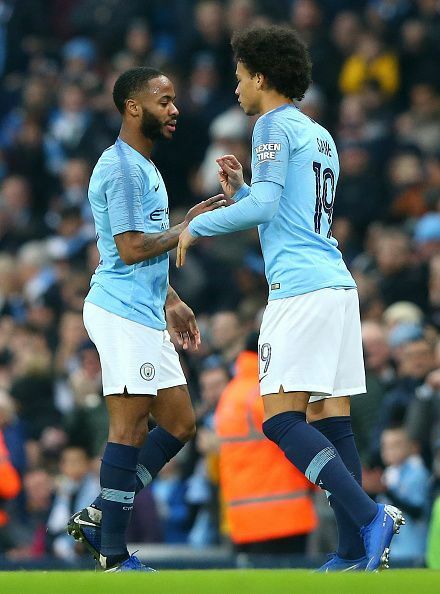 Manchester City are a very good team but in recent weeks in the Premier League they have shown that they have weaknesses and are not as untouchable as they were last season. Their loss to Crystal Palace at home as well as the one against Leicester City and their recent loss to Newcastle has helped their faltering spirits. 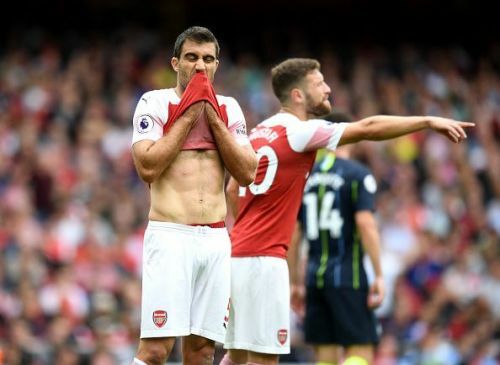 Although they will be looking to bounce back against the Gunners, there is no doubting the fact that they are vulnerable at this point because of the pressure to right the wrongs of recent weeks. The likes of Pierre Emerick Aubameyang and Lacazette will have to put them under pressure when they are trying to pass out from the back as well as the entire team like they did against Chelsea. If the Gunners can apply the optimum amount of pressure on the City backline and show the same desire to win the ball back quickly like they did against Chelsea, then they have a good chance of leaving the Etihad with a positive result.